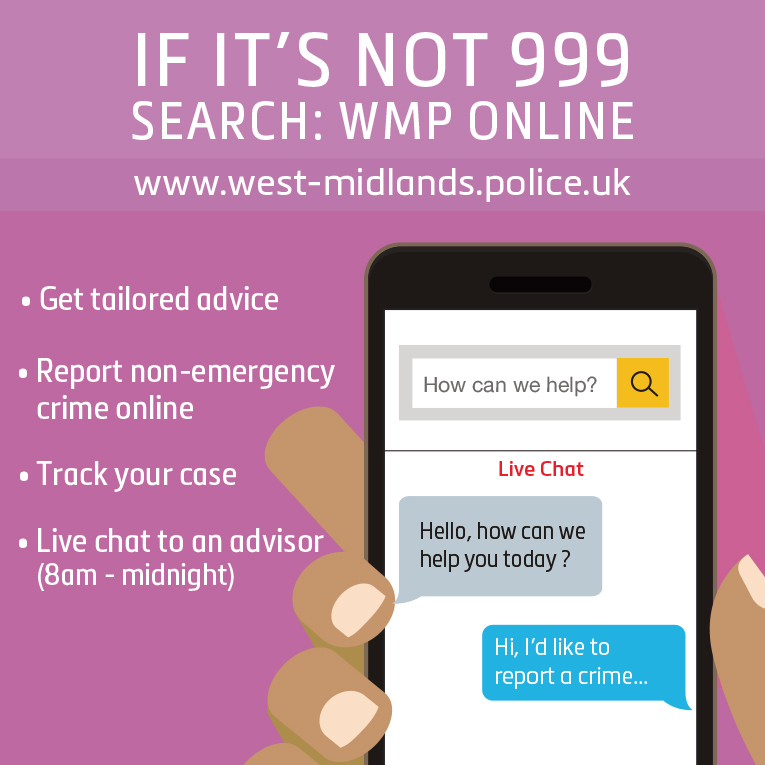 West Midlands Police have launched a brand new live chat service on their website. Live chat gives you the power to report all non-emergency crime online and speak to an adviser anytime between 8am - midnight (Monday - Sunday). Search for advice tailored to any situation you might be facing using the search bar. Get help by talking to an adviser on live chat between 8am-midnight. Report non-emergency crime online using live chat. Track the progress of your case. You can also self-report burglary, theft, robbery and criminal damage. We encourage you to use this service if it is not a 999 emergency. Your case will be receive the same level of service as if you were to phone West Midlands Police.